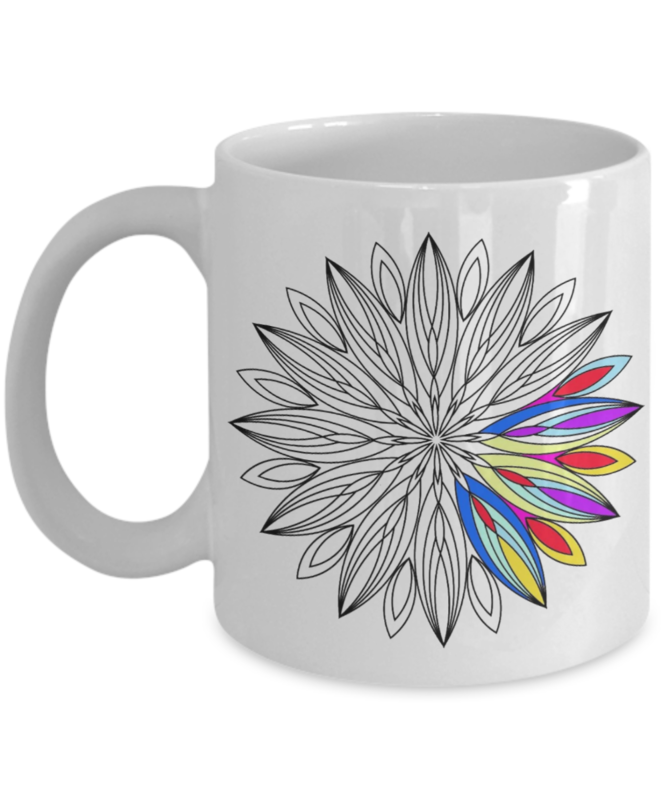 Mandala mug for coloring enthusiasts. A pointed mandala design image on front and back. The perfect gift for anyone who loves coloring. 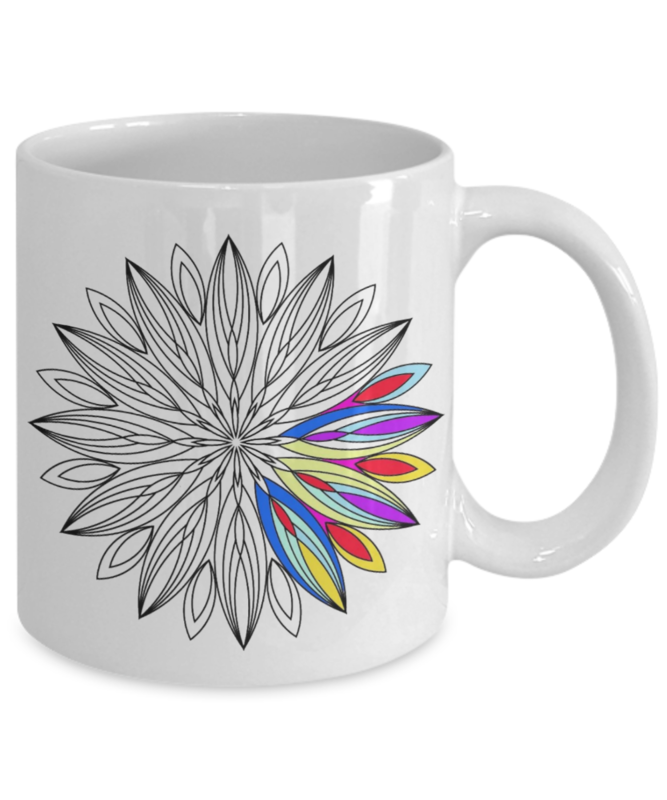 An Adult coloring enthusiasts personal mug.